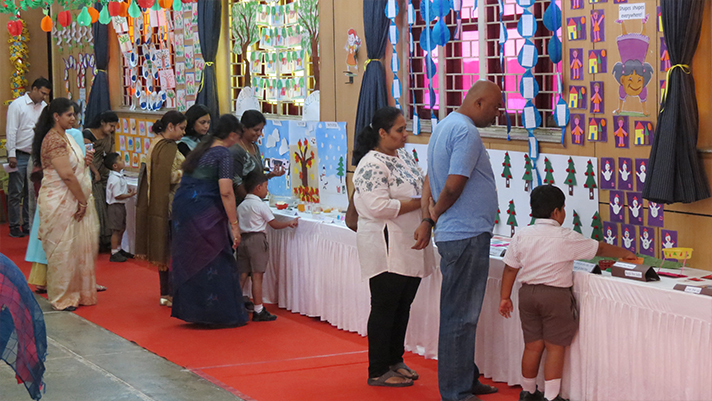 There was a magical transformation of the pathway to and the interiors of the Auditorium on 3rd March 2018! 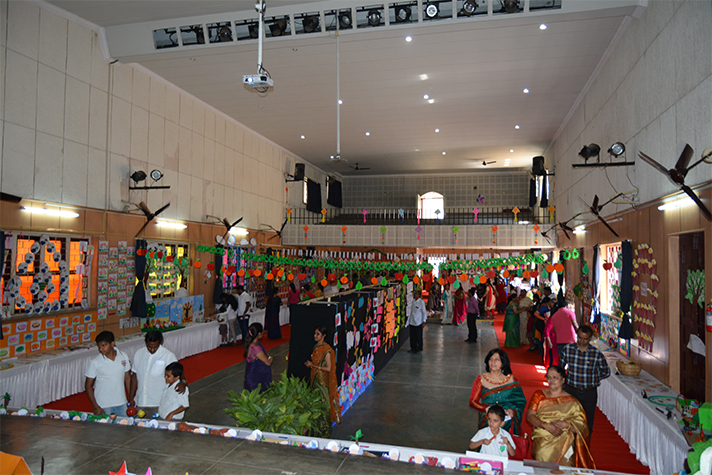 It was ‘Potpourri’, an exhibition of creative art and craft made by the students. 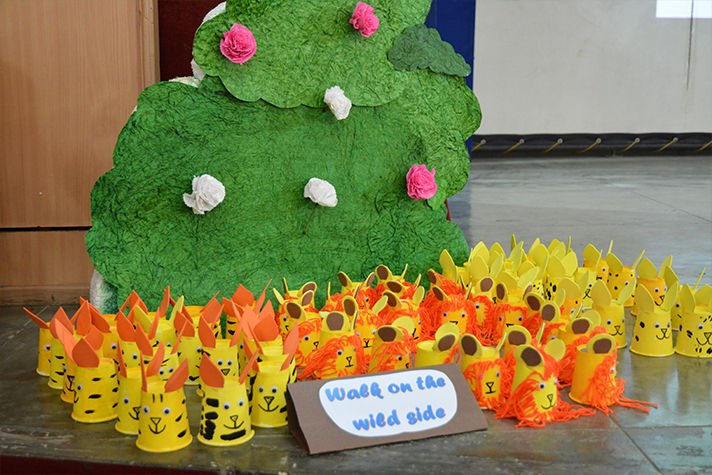 The pieces were fashioned using different techniques like paper tearing, thumb painting, glass painting, rangoli and even best out of waste! 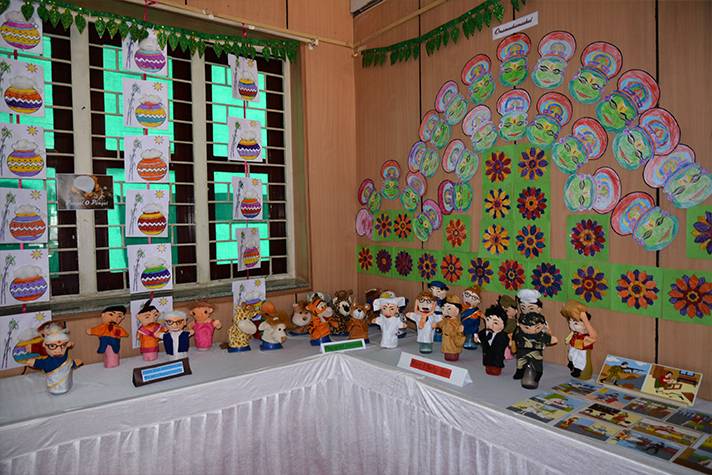 The teachers also displayed the innovative teaching aids designed by them, all of which are being used in the kindergarten classes to enhance students’ learning. 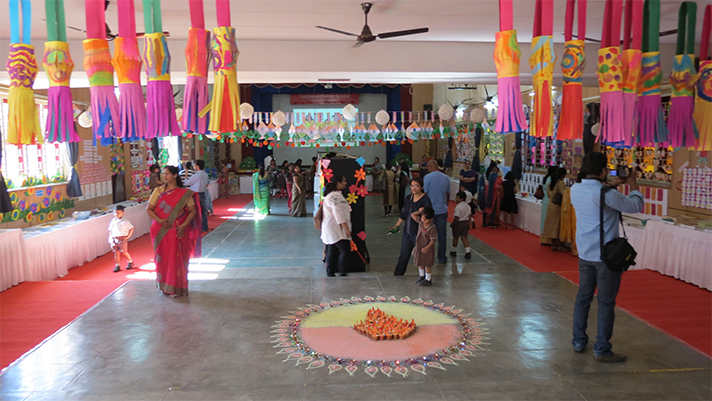 It was a visually colourful and stimulating atmosphere and received an overwhelming response from parents and children.